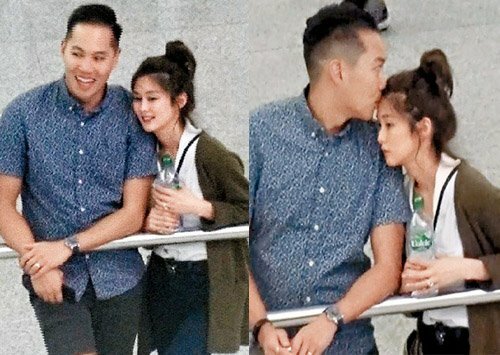 Eliza Sam’s Mom Arrives in Hong Kong to Help Out During Pregnancy? Is Eliza Sam (岑麗香) pregnant? Eliza’s recent appearance and eagerness to house-hunt for more space indicate that she may be planning for a growing family. 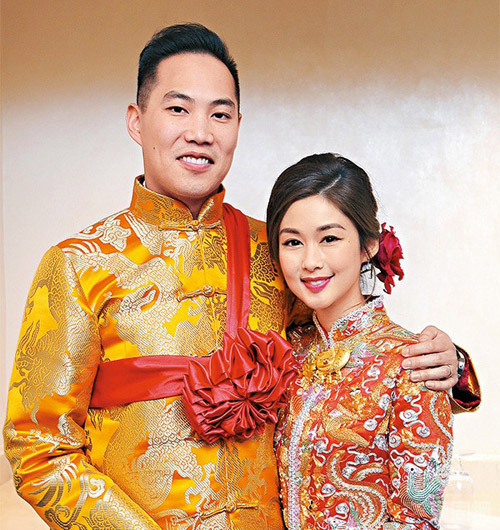 In 2016, Eliza tied the knot with Canadian-Chinese boyfriend, Joshua Ngo. The couple finally ended their long-distance separation, as Joshua decided to move from Canada to Hong Kong for the convenience of Eliza’s acting career. With previous business knowledge as a senior executive at a finance company in Canada, Joshua ventured into sales finance and started an online business with Eliza in Hong Kong. Aside from these investments, the couple has started house hunting for a larger home. Eliza and Joshua were sighted checking out a 1000-square-feet home in the North Point Mid-Levels. It is obvious the couple wants a home with enough space to accommodate their children in the future. When Eliza left TVB this June, she revealed that she wanted greater work-life balance and eventually have a baby. Seeing good friends, Linda Chung (鍾嘉欣) and Leanne Li (李亞男) becoming mothers, Eliza is also hopeful and working hard to have a baby. Aside from making promotional appearances, Eliza has significantly slowed down her filming schedule since signing with Wong Cho Lam‘s (王祖藍) company as her management agency. Recently, the 33-year old actress and her husband were photographed at the Hong Kong airport. Behaving lovingly towards each other, Eliza constantly leaned on his shoulder, while Joshua kissed her forehead head and ran off to get a bottle of water for her. After waiting for awhile at the airport, Eliza finally spotted her mother, who flew in from Canada. It is highly likely that Eliza’s mother came to Hong Kong this time to take care of her daughter in the early stages of pregnancy. Though Eliza’s figure appears slim, she wore flat shoes and a long cardigan that was out of place in the hot weather, but is very useful to hide her body from prying eyes. 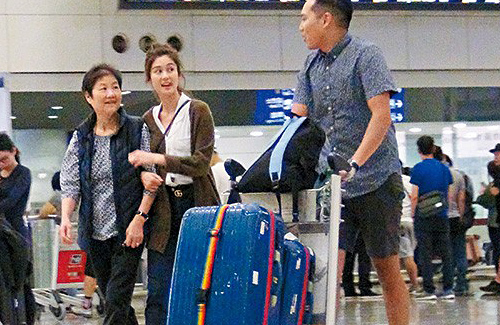 1 comment to Eliza Sam’s Mom Arrives in Hong Kong to Help Out During Pregnancy? I’m happy for Eliza if she is really pregnant.